Founding partner of Raindog films official ambassador for This is Manchester Awards. 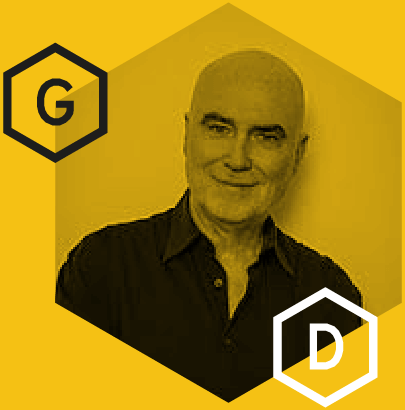 Ged Doherty raised in Manchester, established the British film production company alongside BAFTA and Academy Award-winning actor Colin Firth in 2012. Based in London, the company’s debut feature Eye in the Sky, starring Helen Mirren, Aaron Paul, and Alan Rickman, was theatrically released in the spring of 2016 to critical acclaim and commercial success, making the U.S. box office Top 10. It also reached number 2 in the UK Box office and was a big hit. Currently, Doherty is in the middle of production on his third feature film; Official Secrets, based on the true story of British Intelligence whistle-blower Katharine Gun, and her leak of an NSA memo during the run up to the Iraq War. The film stars Keira Knightly, Ralph Fiennes, Matt Smith, and Matthew Goode. It is scheduled for release in the fall of 2018. Doherty is also the Chairman of the BPI &amp; BRIT Awards Ltd, one of the UK Music Industry’s leading trade bodies, whose members are responsible for more than 85% of the recorded music sold or consumed across the country. The BPI represent over 300 independent labels, alongside industry heavyweights Sony, Warner, and Universal Music; and own and organize The Brit Awards, The Classic Brits, and The Mercury Music Prize. Doherty assumed the role in January 2015 on the back of garnering an unparalleled wealth of music industry experience, having previously served as Chairman and CEO of Sony Music UK. He became Chairman in 2006 – having played an integral role in its merger with BMG two years prior. Doherty worked with artists such as Dido, Kings of Leon, Calvin Harris, Beyoncé, Kasabian, and Foo Fighters; and was instrumental in launching the joint-enterprise between Sony and Simon Cowell’s Syco Entertainment – an ambitious venture focused on the production and exploitation of music, television, film, and digital content on a global level.